If a sports team is only as good as its concession stands, it would appear the New York Mets are in for a fantastic season this year, judging by the menus available throughout Citi Field. We’ve broken the stadium’s offerings down by the newbies and the old standbys -- from DŌ’s raw cookie dough to Fuku chicken sandwiches -- so you can make the most out of your baseball watching. 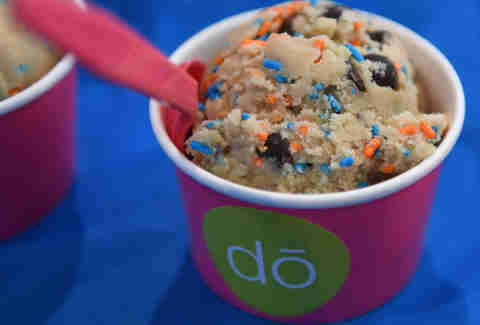 Cookie dough devotees wait hours in the West Village for a scoop of this safe-to-eat raw dough, so here’s hoping Mets fans don’t have to wait nine innings. Signature chocolate chip, cake batter, and sugar cookie flavors will all be available at the stadium, with scoops starting at $6. 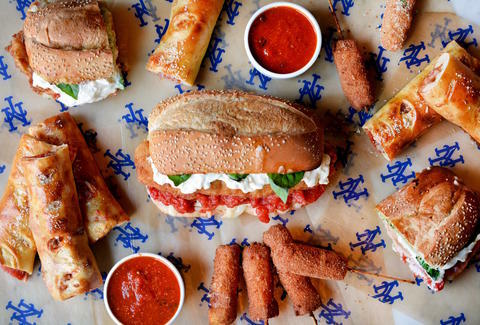 Michael White’s popular pizzeria is bringing plenty of Italian (and Italian-American) comfort foods to Citi Field, like chicken Parmesan served on a sesame roll, stromboli roll-ups, mozzarella & pepperoni sticks, and gelato-style soft serve. 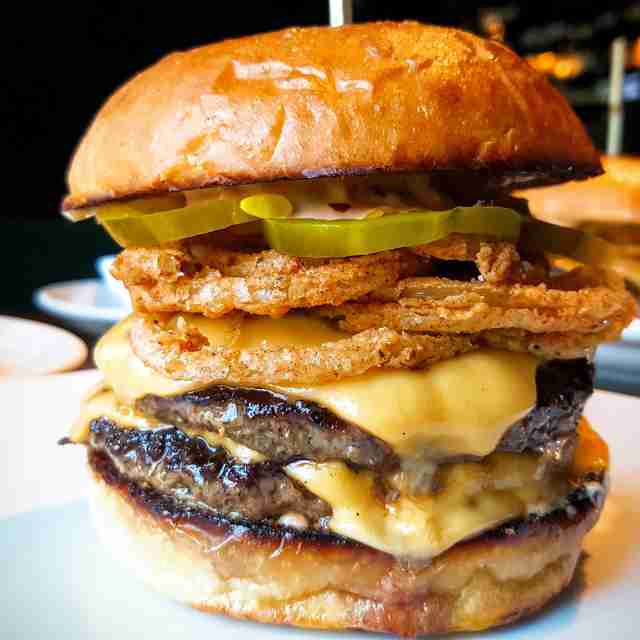 Six-time Burger Bash Competition champion Josh Capon (Lure, Bowery Meat Company, Burger & Barrel) is offering three types of burgers at his new stand, including the famed Bash made with two Pat LaFrieda patties, onion, bacon jam, pickles, American cheese, and special sauce. If you’re craving seafood at the game, hit up this stand from James Beard Award-winning chef and co-owner of Esca, Dave Pasternack. South Bay lobster tacos with cheese, salsa, and citrus slaw can be enjoyed alongside loaded Bayside fries topped with breaded Cherrystone clam strips and creamy clam chowder fondue. 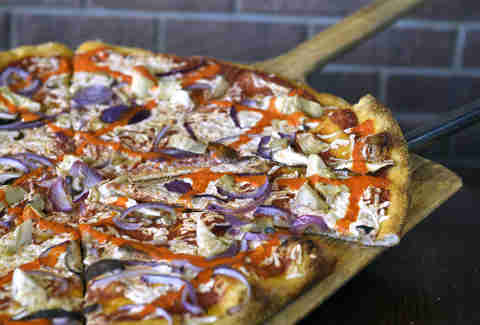 This New York-based pizza mini-chain is slinging brand-new slices this season, like the Queen of Queens, a white pie topped with Creole-spiced chicken, broccoli, and basil, and a vegan-friendly V Slice topped with artichokes, shiitake mushrooms, red onions, pesto, and Daiya non-dairy cheese. The cheese-themed Smorgasburg favorite is debuting at Citi Field with a selection of homemade mozzarella sticks served on a stick, so you can keep your hands grease-free until your next round of cheese fries. Sticks are available with a side homemade red sauce, pesto, and other dips. 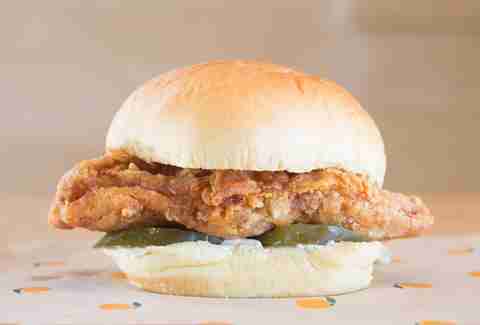 Celebrate a good inning by hitting up David Chang’s famed Fuku for the signature deep-fried dark meat chicken sandwich. Trade in your traditional stadium fries for thick cut Fuku fries and spicy Ssäm sauce. 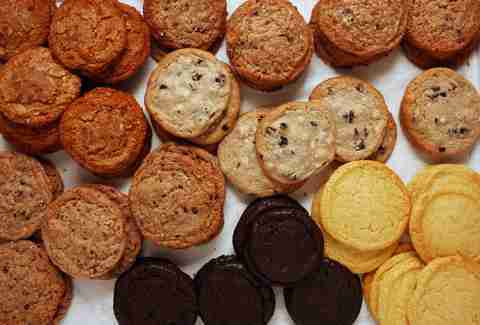 Dessert guru Christina Tosi is replacing any cotton candy and Dippin’ Dots cravings you’ll have this summer with signature creations like pretzel and potato chip-filled Compost cookies and sticky cornflake chocolate chip marshmallow cookies. The original Rao’s may be one of the hardest reservations to get in New York, but the Citi Field outpost gives you a taste of the exclusive East Harlem Italian restaurant right in the stadium. If you’re sitting behind home plate, order the steak pizzaiola hero and a slow-roasted beef short rib sandwich with mozzarella cheese on fresh baked Italian bread. Because baseball games and raw fish are an obvious pairing, you can get your sushi fix at Citi Field. 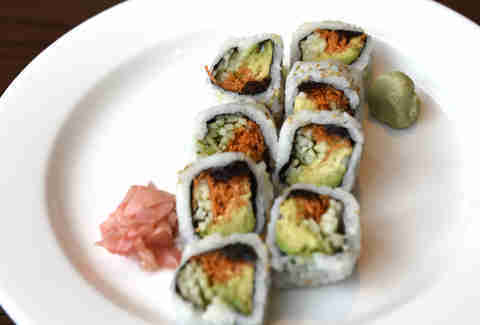 Options from the stadium outpost of the Great Neck-based sushi restaurant include your favorite Seamless picks: spicy tuna rolls, California rolls, a vegetarian roll, and edamame. Just blocks away from its original home on 104th St in Corona, this classic Queens deli vends heroes topped with fresh mozz, cannolis, salads (for some much-needed game day greens), and other Italian-American favorites. Highlights from Danny Meyer’s New York City restaurants (Shake Shack, Blue Smoke, and a special stadium-only restaurant Papa Rosso) are all available in one place. 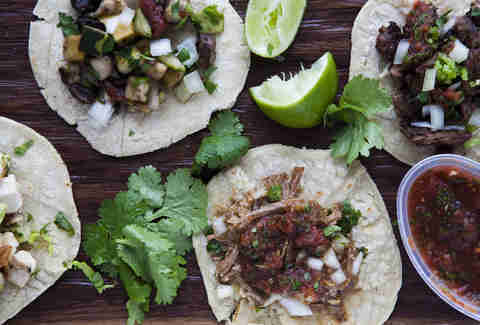 Expect to make some tough decisions between margherita pizza, ShackBurgers, green mole chicken tacos, pulled pork-topped mac & cheese, and frites topped with bacon and cheese. New York’s beloved butcher has brought his signature filet mignon steak sandwich to Citi Field, made with tender meat, melty Monterey Jack cheese, sautéed Vidalia onions, and beef jus on a French baguette. 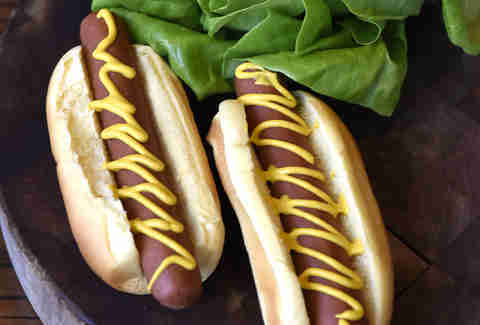 Gluten-free, vegetarian, and organic conscientious Mets fans can hit this healthier food stand for turkey burgers on gluten-free buns and veggie burgers and dogs. This beloved risotto ball purveyor, popular at holiday markets and food fairs throughout the city, is rolling out several flavors of arancini this season, including ragu, bianco verde, Nutella, and a special sports-themed Buffalo ball. Order six, and they’ll be served in a convenient egg carton. 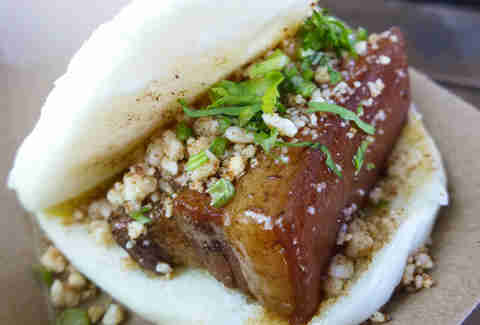 The Citi Field outpost of Eddie Huang’s popular 14th St bao shop offers the three most popular buns for $6 each, including the Chairman Bao, stuffed with pork belly and crushed peanuts. Melissa Kravitz is a writer based in NYC who only like sports for the food. Follow her on Twitter.